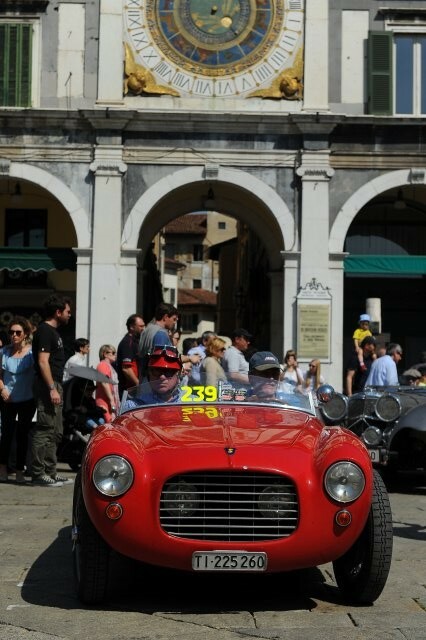 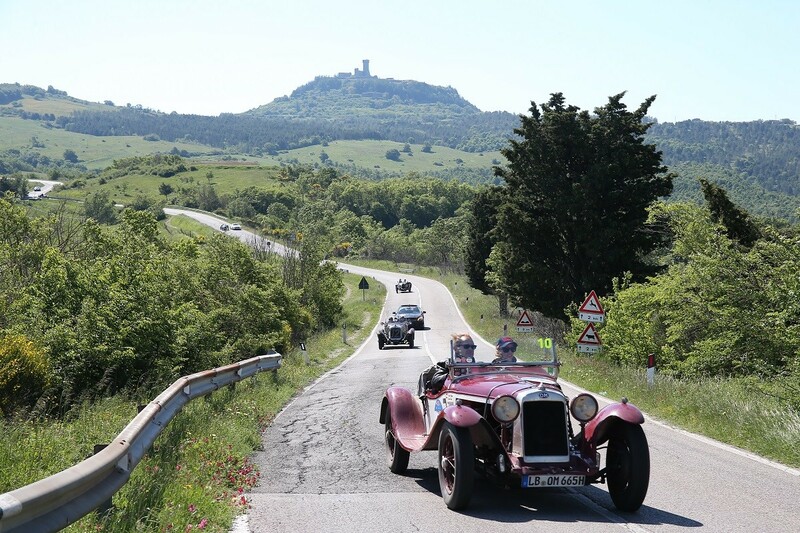 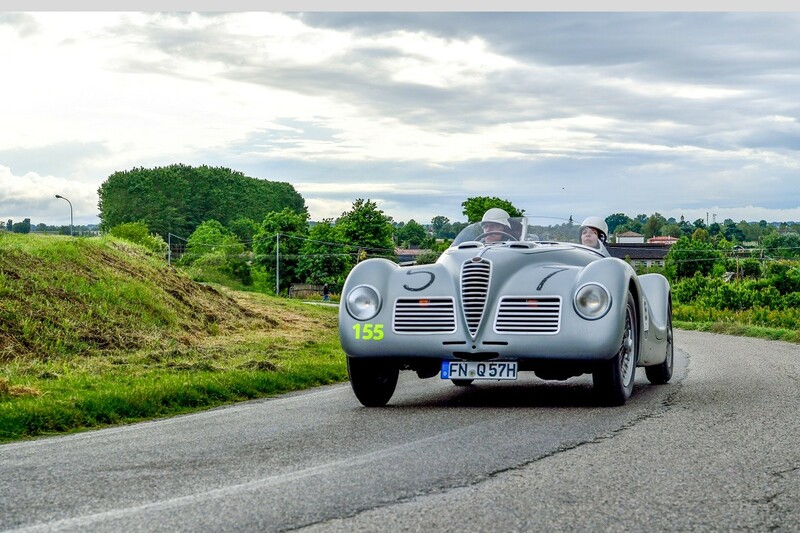 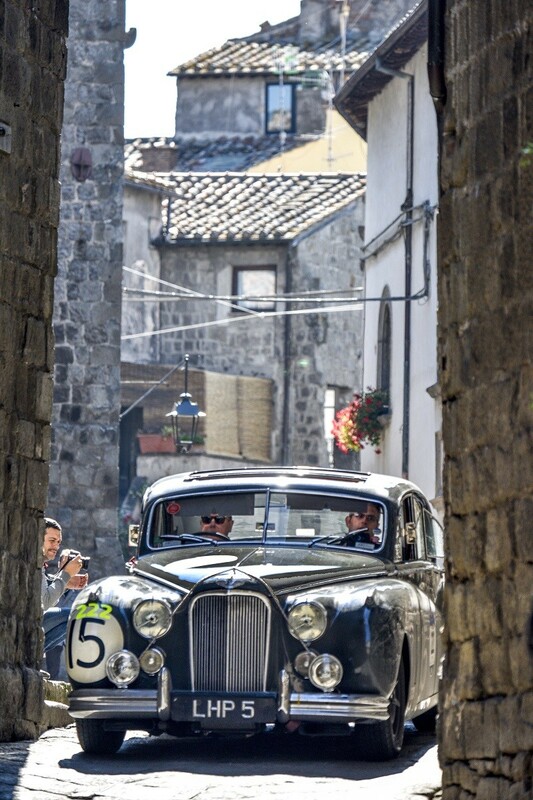 The Mille Miglia 2016 has been held from 19 to 22 May on traditional route Brescia-Rome-Brescia. 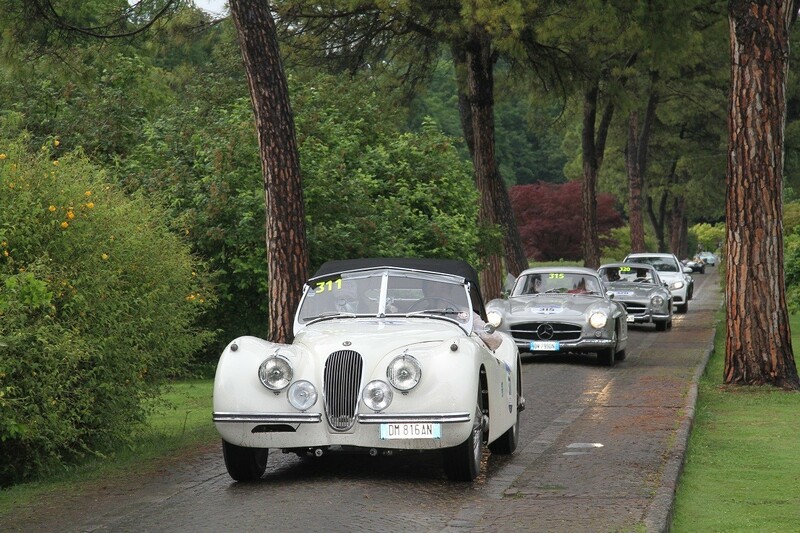 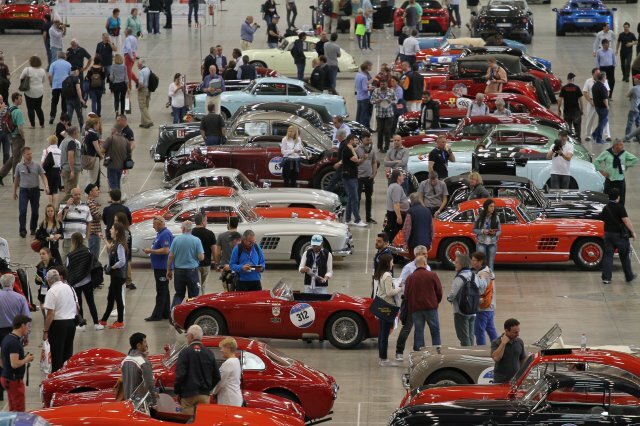 450 the cars which took part in the race, selected between the models that raced in the historic Mille Miglia. 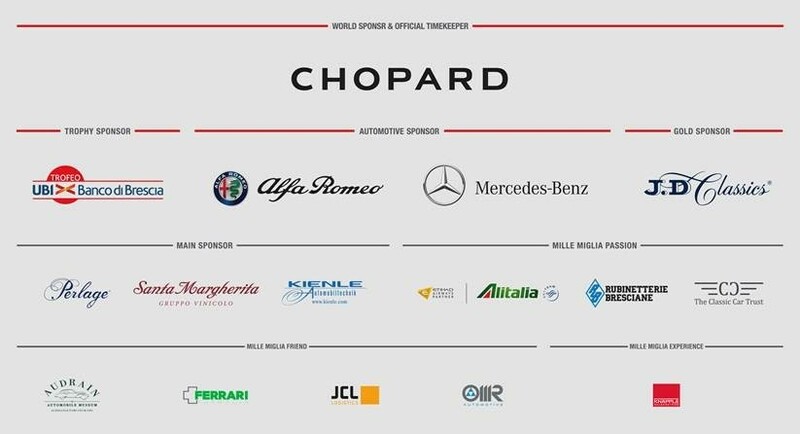 900 the crew members, from 38 countries. 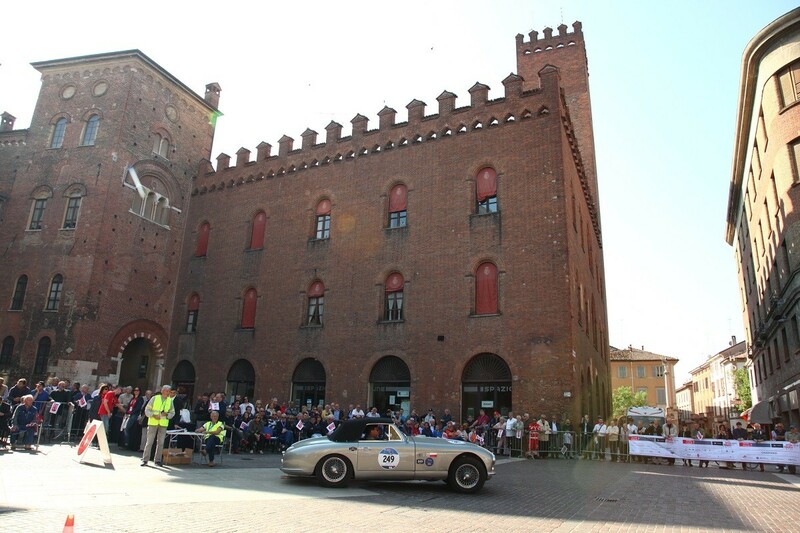 Over 230 the town crossed in the four days of the competition. 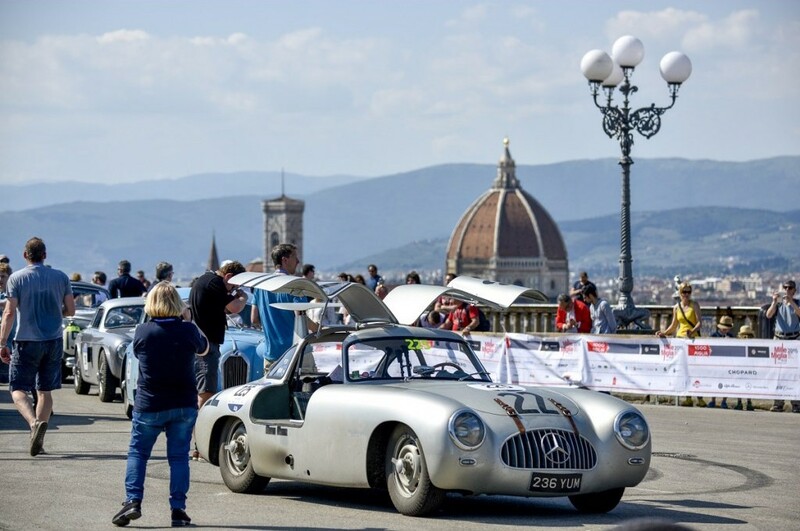 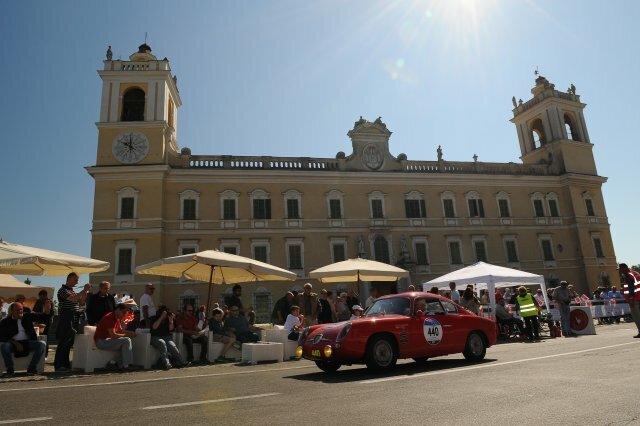 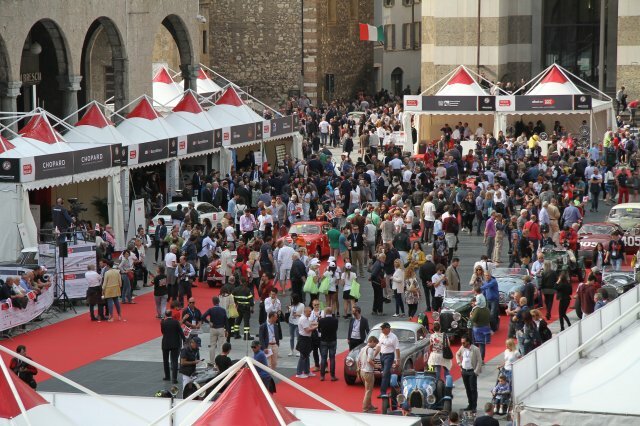 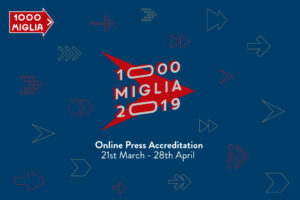 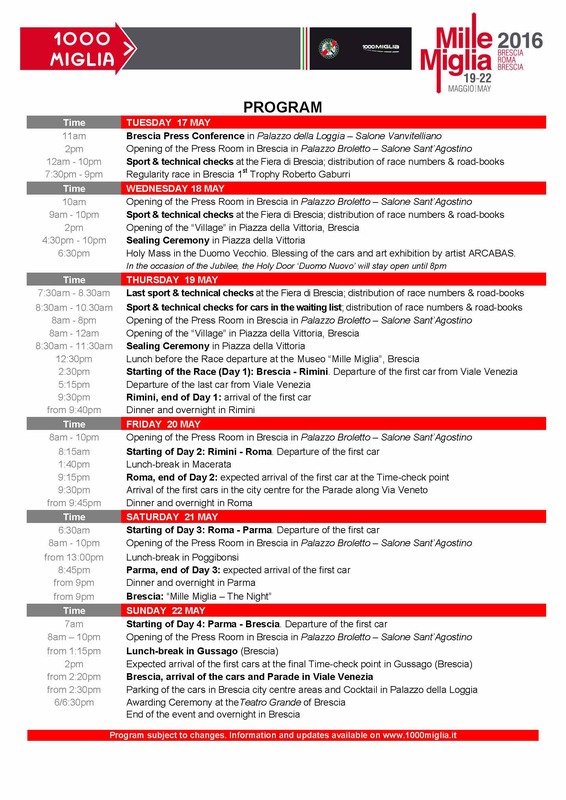 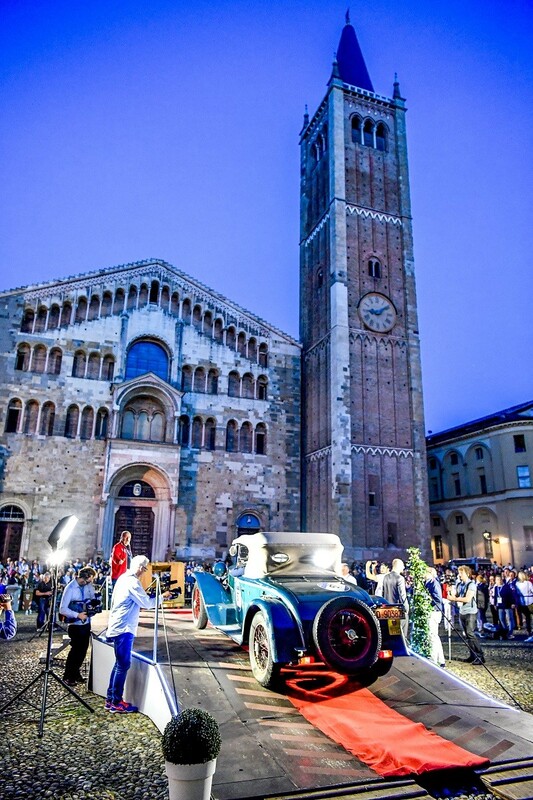 Discover the program of the 1000 Miglia 2016. 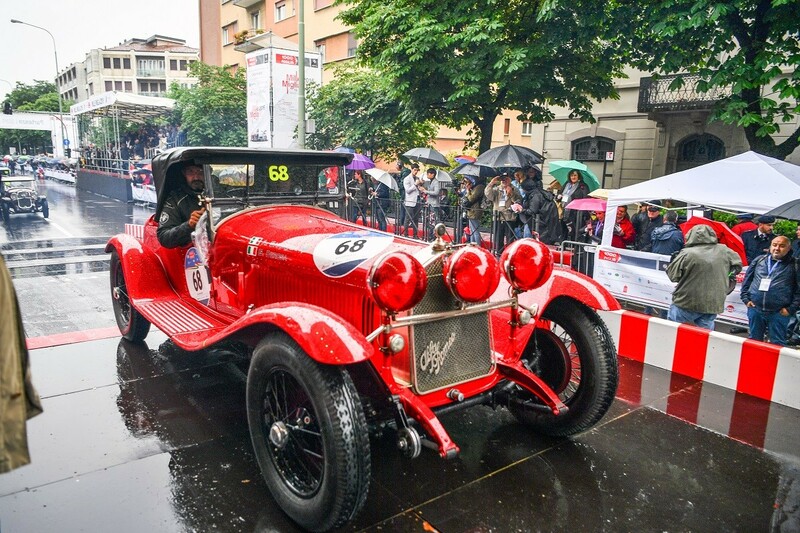 As always, 1000 Miglia 2016 designed the race along the magical scenery of Italian territory, going from Brescia to Rome and then back again. 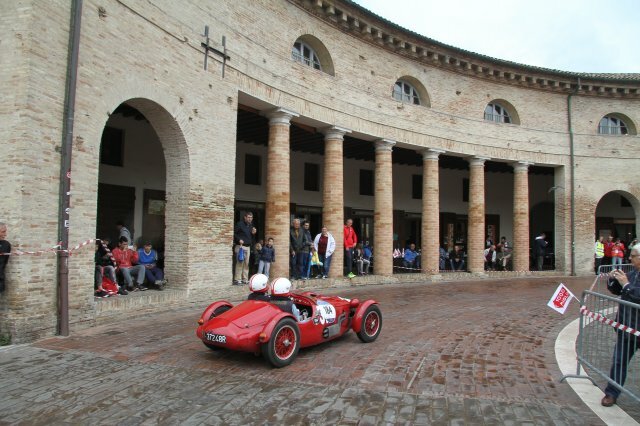 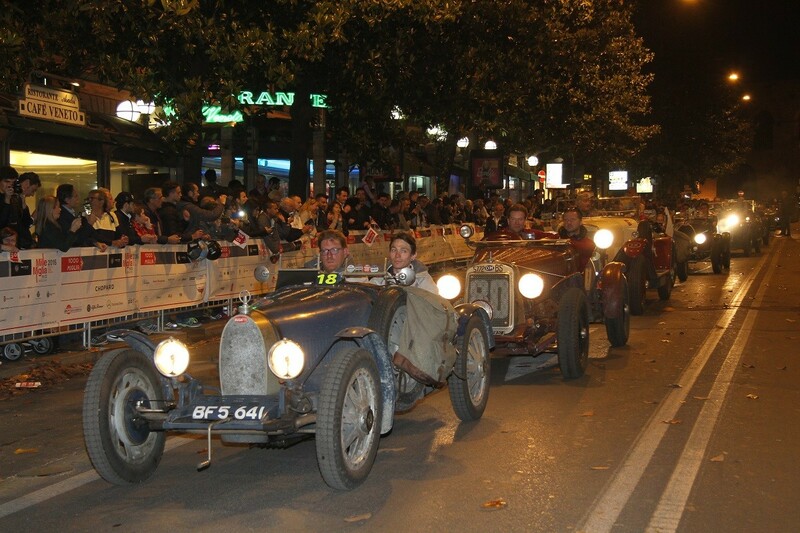 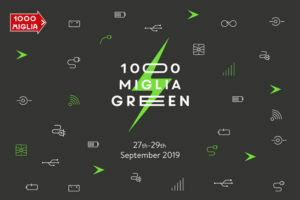 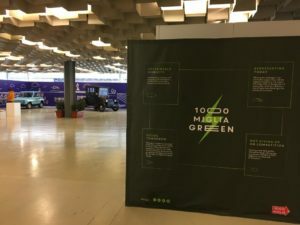 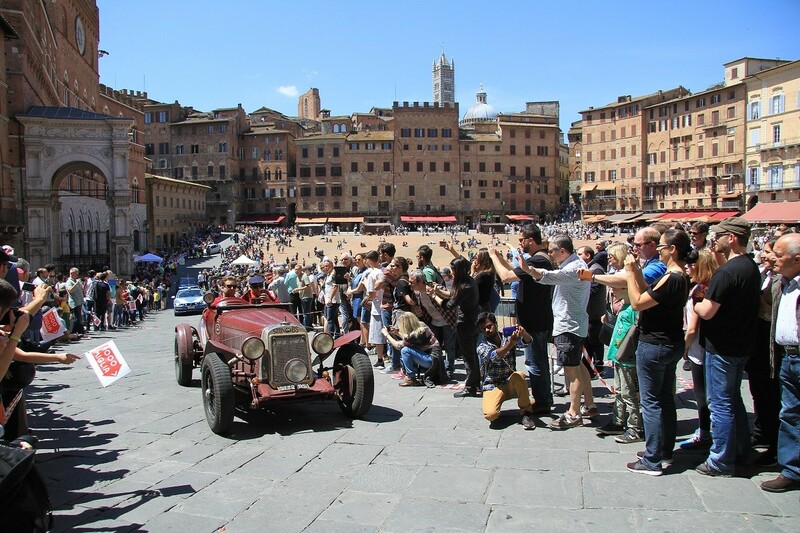 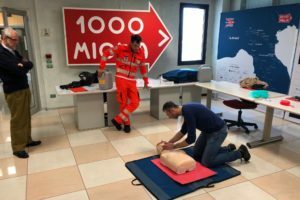 This year, for the first time, we hosted the <a href=”http://1000miglia.it/wp-content/uploads/2018/09/2016_gaburri.png” target=”_blank” rel=”noopener”>regularity race</a> dedicated to the memory of the late Roberto Gaburri: first President of the 1000 Miglia Srl. 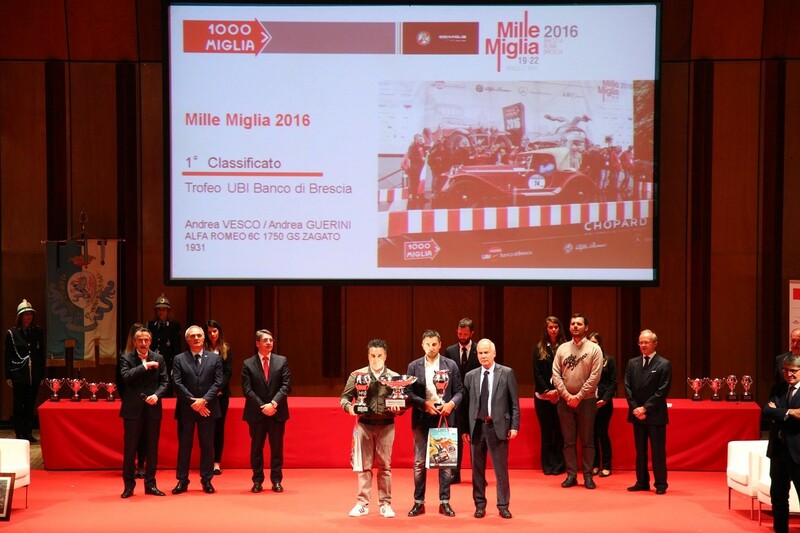 The competition took place on Tuesday, May 17th, 2016, at 8 pm. 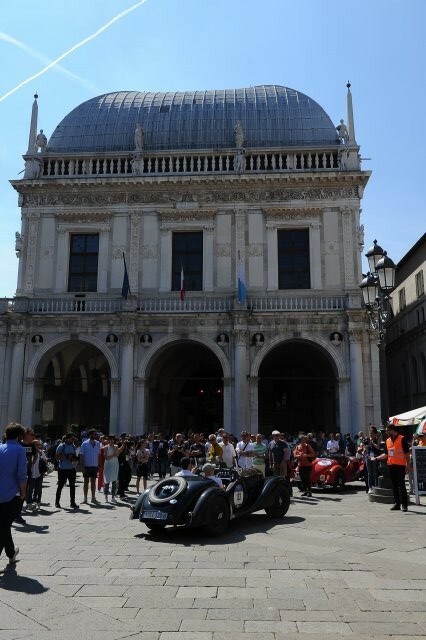 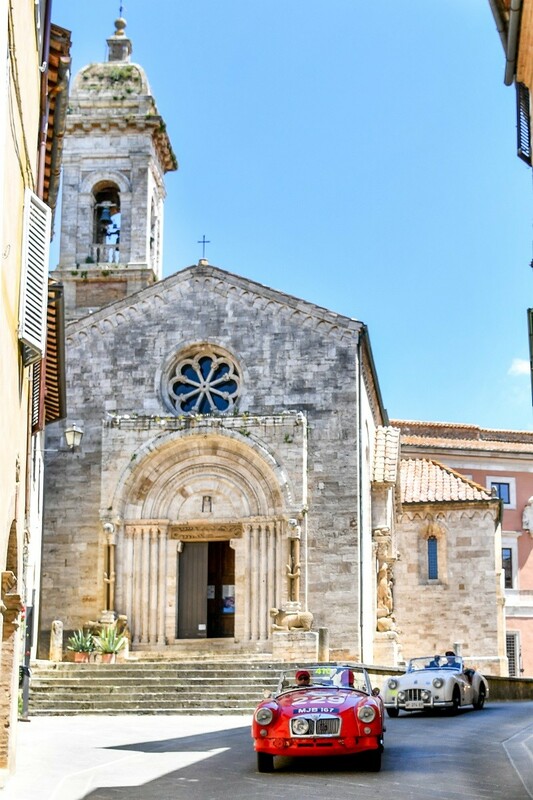 The route unfolded through some of the most fascinating and characteristic parts of the historical center of Brescia, including the Castle, Piazza della Loggia, Corso Zanardelli and Via Musei (passing in front of the Tempio Capitolino (Capitolino Temple).